Elliott Richard in Daddy’s hat. At McDonald’s for lunch today. 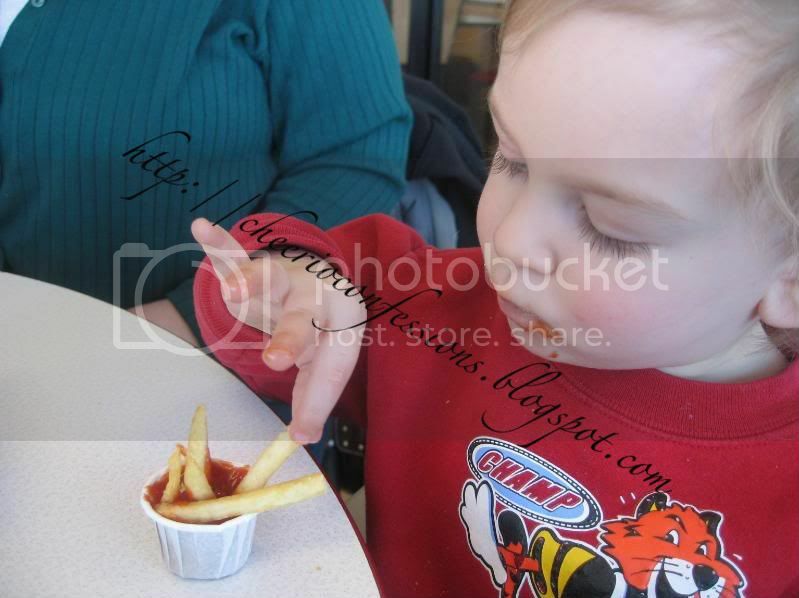 Elliott took his last few remaining fries and stuck them all in his ketchup. Then he took them out and licked the ketchup off, one by one.